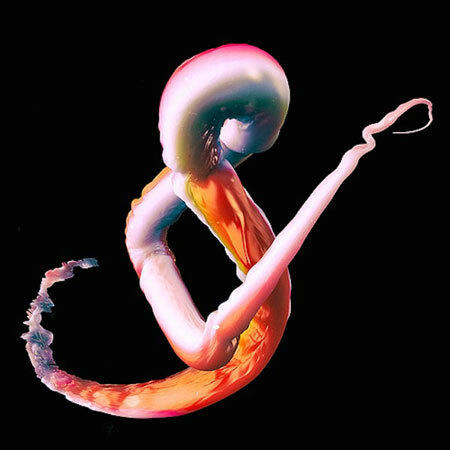 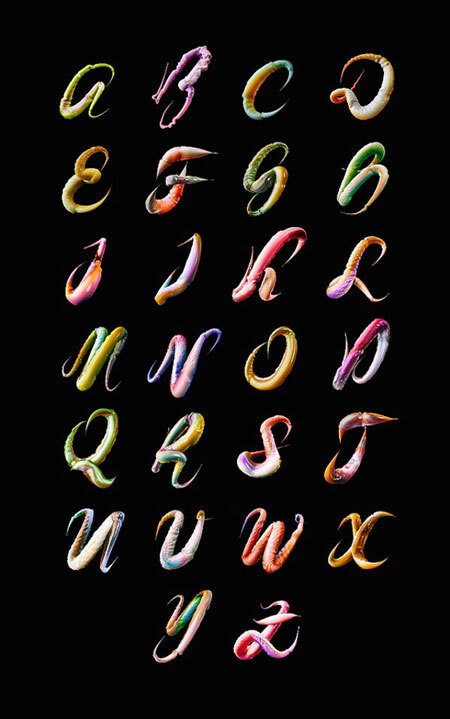 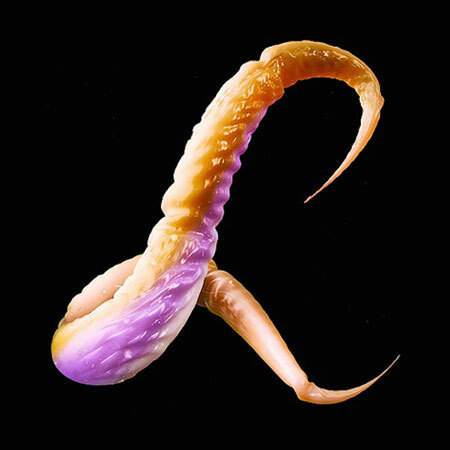 Created by Ari Weinkle, this alphabet is both slightly disgusting and fascinating. 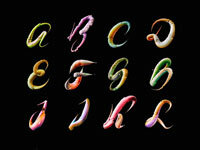 It is based on… limbs and instestines of disembodied animals. 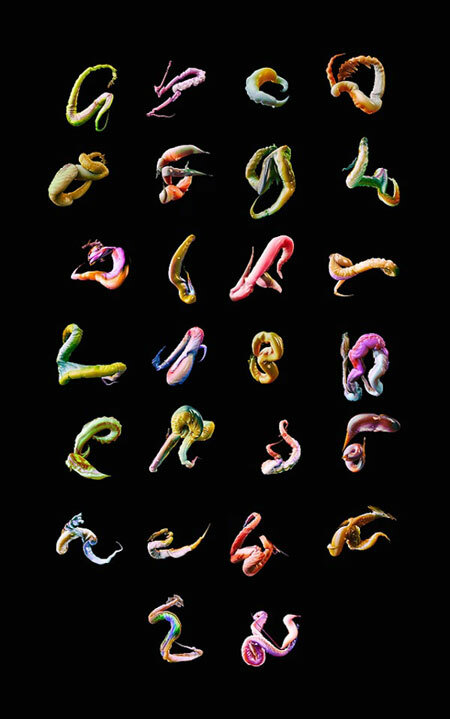 The project was titled Feelers.